Northwest National Real Estate: Sold! Motivated Seller! 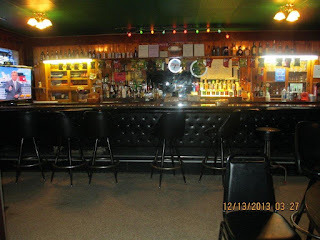 The Bar 80 is a small town bar with lots of potential that is located in the farming and ranching community of Opheim, Montana. Sale includes all equipment plus a 2 bedroom apartment in the back. Main building is 6,778 sq ft and has a seating capacity of 90. Located on US Highway 24 which is the main highway to Canada. Perfect husband and wife operation that is near some of the best hunting and fishing in the state of Montana. Call Jon Svingen at 406-263-2113 or the Helland Agency at 406-228-2114 for more information. Priced at $40,000.